GAROWE, Somalia August 20, 2014 (Garowe Online)-A two-day discussion between Puntland Government in northern Somalia and Federal Members of Parliament who heeded calls for consultations has come to an end, with the northeastern state setting condition for bilateral talks on Wednesday, Garowe Online reports. In a press statement released to the media, Puntland and Federal MPs agreed on the existence of grievances and concerns and unless those prevailing matters are addressed, Puntland is unlikely to forge agreement with Somalia’s Federal Government. Puntland also accepted to open talks with Mogadishu-based Federal Government in the presence of international representatives within 30 days. 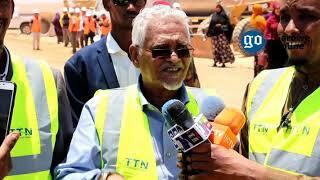 “The Government of Puntland accepted the request of the honorable members of federal parliament. 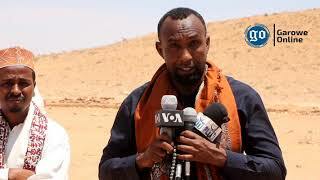 However given the FGS failure to honor and implement previous agreements the government of Puntland set the condition for international presence at the talks,” the statement read. 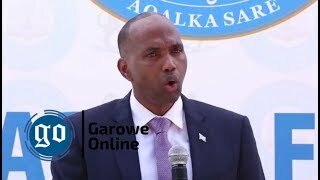 On Federal state consisting of Mudug and Galgaduud regions, it warned of further instability and civil conflict, declaring the tripartite deal unconstitutional. “Lastly the Government of Puntland and honorable members of the Federal parliament agreed that the central regions agreement signed on the 30th of July 2014 in Mogadishu, declaring the intent to form a federal state out of Galgaduud and Mudug regions violates the Puntland constitution and the Provisional Federal Constitution and could lead to further instability and civil conflict in the country,” added the press statement. 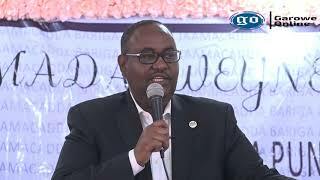 Puntland President Abdiweli Mohamed Ali Gaas announced on July 31 that Puntland withdrew support for Federal Government of Somalia as a result of agreement signed by Galmudug authorities, Himan and Heeb local administration and the paramilitary group of Ahlu Sunnah Wal Jamea. 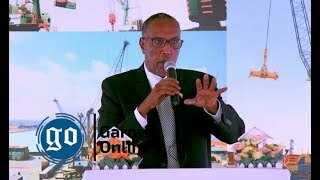 Puntland, located in northern Somalia locks horns with the Federal Government mainly in disputes over Provisional constitution and foreign aid. 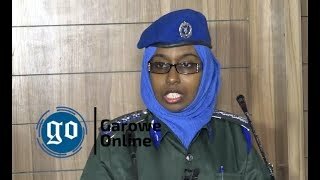 It suspended cooperation with Federal government in August 2013 under the incumbency of former President Abdirahman Mohamed Farole.